Week one of Euro 2016 is well underway and already some fantastic matches have regaled the fans of the beautiful game. Anger, frustration, unethical fights between rival fans, last minute headers and dazzling performances; the beginning itself lays the ground for a riveting tournament ahead if a similar momentum continues. Some seasoned big names Like Andres Iniesta and Gareth Bale have performed as expected while many more like Liverpool youngster Danny Ward have put up surprisingly good knocks in the face of tough opposition. Iniesta's performance against the Czech Republic was expectedly brilliant and a further proof as to why he is still widely regarded as one of the best, active footballers in the world. Danny Ward, Liverpool's second choice goalkeeper was required to fill in for the injured Crystal Palace goalkeeper, Wayne Hennessey. Against a reasonably tough Slovakian performance, he did quite well considering how unexpected his appearance was. However, not all players have lived up to the hype. We look at five such players whose performances were too underwhelming with regards to what was expected and who, ideally, should not start for their respective second games. 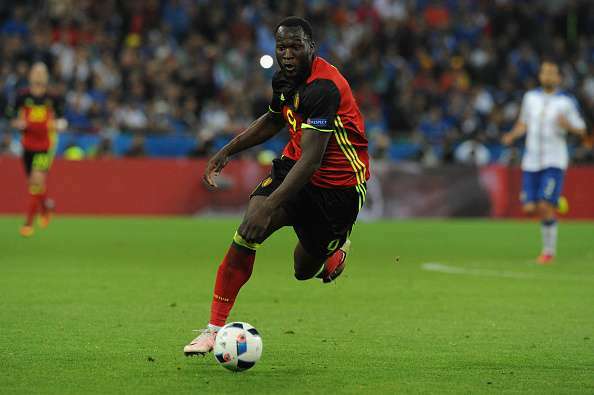 The Everton striker who has been recently been linked to clubs like Chelsea as the summer transfer window drew nearer but he left the Belgian supporters with a bad taste in the mouth after their national side failed to strike up a performance against Italy. This comes nearly a week after Lukaku declared to World Football magazine, “I’m among the best.” The 23-year-old reflected none of his Premier League finesse as he struggled against an indomitable Italian defence. Even when he did get past them, he failed to capitalise on chances and rarely proved challenging to the Italian goalkeeper. His prominent dribbling skills were absent and there was arguably only one occasion which displayed any sign of his footwork when he intercepted a pass by Kevin de Bruyne which, again, he failed to follow up with a finish.